COPENHAGEN, Denmark, April 14, 2016 (ENS) – New cars sold in the European Union are increasingly more fuel-efficient and beat the official CO2 emissions target handily, concludes the European Environment Agency (EEA) in a new report published today. Official test results reported by national authorities to the agency show that last year new passenger cars sold emitted, on average, just 119.6 grams of carbon dioxide (CO2) per kilometre. That’s a full eight percent below the official EU target set for 2015 – more than 10 g CO2/km below the 2015 target. 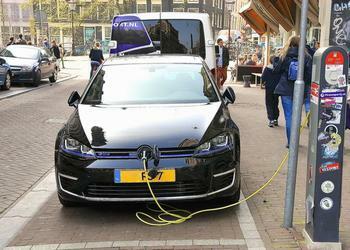 The EEA report is based on “reported emissions,” which the agency calls “the provisional data,” indicating some possible adjustments to come. Since 2010, when monitoring started under current legislation, the EEA says official data shows emissions have fallen by more than 20 g CO2/km. The European Union met its 2015 target of 130 g CO2/km in 2013 – two years ahead of schedule. Last year, the average CO2 emissions of a new car sold was three percent lower than in the previous year. In the next few years, the noose of regulations will tighten further to cut off CO2 emissions. Another, even lower, official target of 95 g CO2/km has to be met by 2021. The drop in CO2 emissions is not because EU drivers are buying fewer cars. The member states’ national reports to the EEA show that sales of new passenger cars in the EU went up by nine percent in 2015 compared to the previous year – to a total of 13.7 million new cars. Registrations increased in all EU Member States except Luxembourg and Slovenia. The least fuel-efficient cars were bought in Estonia and Latvia (137 g CO2/km) followed by Bulgaria (130 g CO2/km). For all the other 26 member states, the average emission levels were below the 2015 target of 130 g CO2/km. Around 57,000 pure battery-electric vehicles were registered in 2015, a 50 percent increase compared to 2014. The largest number of registrations were recorded in France (more than 17,650 vehicles), Germany (more than 12,350 vehicles) and the UK (more than 9,900 vehicles). Diesel cars remain the most widely sold vehicles in the EU, with 52 percent of all new car sales. As in past years, the countries with the highest proportions of diesel sales include Ireland and Luxembourg (71 percent), Portugal (69 percent), and Croatia, Greece and Spain (63 percent). The average fuel efficiency of petrol cars (122.6 g CO2/km) has been catching up with the fuel-efficiency of diesel cars (119.2 g CO2/km) in recent years, says the EEA. Sales of plug-in hybrids and battery-electric vehicles continued to increase in 2015. Their relative share of national car sales was highest in the Netherlands, 12 percent, and next in Denmark with eight percent. Yet the EEA says sales of such vehicles still remain a small fraction of total sales, accounting for just 1.3 percent of all new EU cars sold.